What are some alternatives to Node.js, Laravel, and .NET? I chose .NET Core because it finally let me work natively on my macOS and Linux machines but collaborate with coworkers using Windows. Devs use the devices that they feel most capable with. 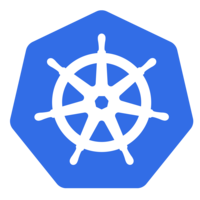 Having services that can run without changes on Linux let us migrate to containerized deployments on Kubernetes without much effort. The performance we've gotten from small ASP.NET Core services running on Alpine images has been great. While the versioning of SDK and libraries/meta packages/etc has been kind of nuts.. We also keep getting new features that are really valuable and easy to package into our services. Just rolling out v3 of the WebJobs SDK which brought simpler DI, filters and more to our Async backend workers. Also preparing to run v2 of Functions in our Azure Kubernetes cluster with virtual-kubelet. In the last year, the community has finally started heavily moving towards NETStandard 2.0 which has eliminated some of our last points of frustration -- not finding compatible clients/libraries/tools that we could use from .NET Core apps (and, funny enough our older .NET Framework apps too!). We're all in on .NET Core now. I have been working in .NET for more than 10 years. As an architect, I understand that enterprises want to lower costs. Full .NET framework, although excellent, has lot of costs around it - starting from Visual Studio for development (Enterprises cannot use Community edition) to Windows Server licensing for hosting. .NET Core makes development faster, cheaper and accessible to anyone. It is easier to convince bosses to go with .NET Core than with the full framework. 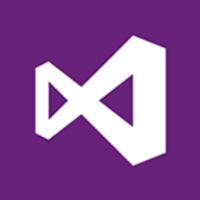 With Visual Studio Code, development teams can install it in minutes compared to the full day they had to submit their laptop to IT team to get full Visual Studio installed. .NET Core is also highly performant and has been my choice for an IoT project that I have been executing with microservices running in a Docker container managed by Kubernetes! Unless I have a specific need, I preach the gospel of .NET Core. I use .NET because of its community and Microsoft's commitment to open source. Game backends require many different design strategies, ranging from latency sensitive customer facing services to high-throughput eventually consistent data pipelines. Performance, tooling, and predictability are qualities that make these services successful and .NET helps me get there by having framework features which promote quick prototyping, but are mature enough to harden for production.